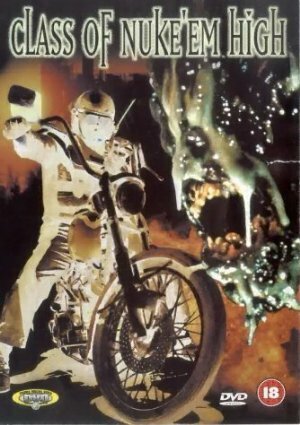 In 1986, Troma release Nuke'em High, which would join other Troma classics like the Toxic Avenger and Sgt. Kabukiman. The film spawned 3 sequels. The most recent was The Return to the Class of Nuke'em High in 2013. While the movie was pretty much universally panned by critics, fans appreciate the schlocky gross humor of Troma films. One fan reviewer wrote on Rotten Tomatoes, "When it comes to stupid trash films, Troma have no equal; and while the vast majority of their output is absolute rubbish, now and again you'll find a few gems in the rough; and unlikely as it may seem, Class of Nuke 'Em High is one such gem."